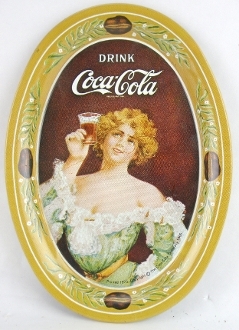 Drink Coca Cola tip tray measuring 6" x 4 1/2". Nice oval tip tray circa 1973. Model fashioned after 1906 lady. There is one small circular blemish in center of tray. This tray will display nicely.